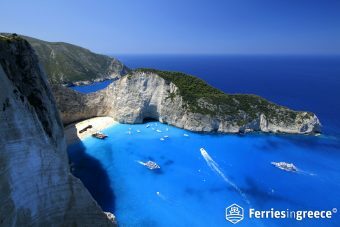 Apart from the larger and better known islands in the Ionian Sea, such as Corfu, Kefalonia, Zakynthos and Lefkada, there are many small Ionian islands that make fantastic places for vacations. Such islands are Paxi, Ithaca and Meganisi. 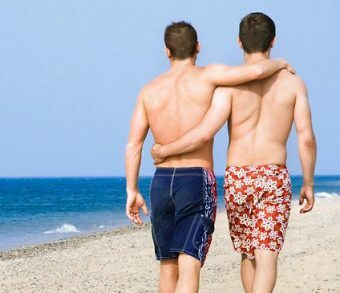 They are ideal for peaceful and relaxing holidays, away from big crowds and noise. One of the small Ionian islands is the picturesque Paxi, which also includes the uninhabited island of Antipaxos, both famous for its exotic beaches and turquoise waters. Paxi is located south of Corfu island and presents an amazing coastline of secluded beaches and lovely sea caves, where visitors can enjoy snorkeling. 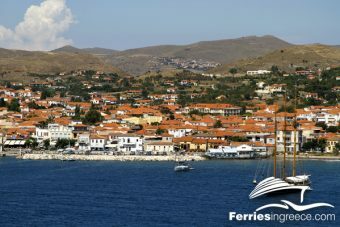 The island of Paxi combines tranquility and a cosmopolitan atmosphere, with yachts mooring at the port. Gaios is the main settlement and capital of Paxi, with a charming beach promenade for a romantic walk. Other scenic villages are Lakka and Logos. Worldwide known from Homer’s epic poem Odyssey, as the homeland of the legendary hero Ulysses, Ithaca is actually a beautiful little island in the Ionian sea, which has retained its traditional charm and rich natural environment. 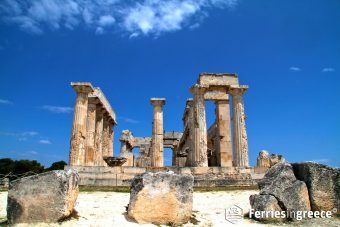 Ithaca is a peaceful destination, accessible by ferry from the mainland port of Killini and from Sami Kefalonia. Vathy, its capital town, is perfect for an evening walk along the promenade or an excellent dinner in one of the taverns offering fresh fish. 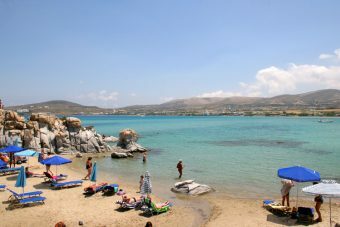 Next to Vathy you will find nice beaches with clean waters for a relaxing swim. 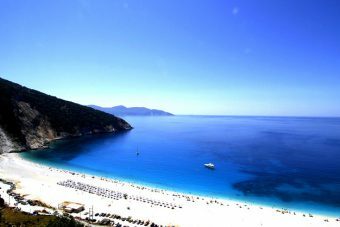 Most popular beaches in Ithaca are Filiatro, Sarakiniko and Agios Ioannis. Situated really close to Lefkada, just 15 min by ferry from the port of Nydri, Meganisi is a small island, distinguishing for its lush greenery and emerald waters. 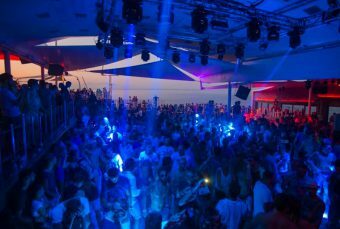 It is easily accessible by boat from Nydri port in Lefkada, so it is preferable even as a day trip option. As it is not tourist developed and has few residents, Meganisi is perfect for family holidays or as a private romantic retreat for couples. Its most scenic village is Vathy. 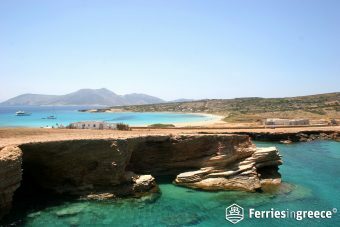 Meganisi has a fertile landscape full of amazing beaches with crystal clear waters. 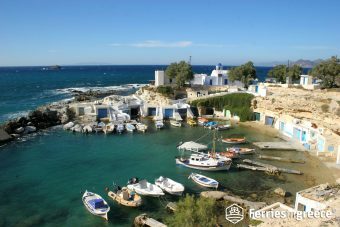 Visit the most popular beaches, such as Agios Ioannis, Fanari, Spilia and Barbarezou, or explore secluded coves that can only be accessible on foot or by boat.